The Trump administration is trying to bring back some of the worst and most appalling hunting practices for wolves, grizzly bears and other wildlife on 20 million acres of federal public lands in Alaska. A rule proposed today by the Department of the Interior would roll back an Obama-era regulation that prohibits such controversial and scientifically unjustified methods of hunting as using artificial light to kill hibernating bears and their cubs, shooting wolf and coyote pups and mothers in their dens, using bait to attract brown and black bears, shooting vulnerable swimming caribou, and using dogs to hunt black bears. 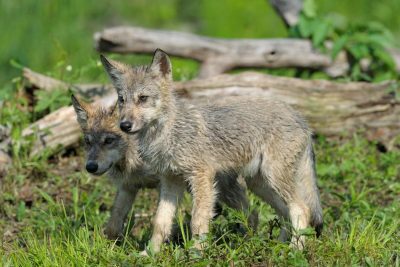 Last year, when the state of Alaska and Safari Club International sued NPS to invalidate this crucial rule, the Humane Society of the United States intervened in the lawsuit to defend the rule and similar rules issued by the U.S. Fish and Wildlife Service. Now, in a new ploy, the NPS is claiming that due to secretarial orders issued by Department of the Interior Secretary Ryan Zinke to expand hunting opportunities on federal lands and improve coordination with states, the agency is required to rescind these protections. In reality, the agency and Zinke have no authority to override Congressional protections for these federal lands. This proposed rule also goes against the wishes of Alaskans themselves, and can hurt the state’s economy. A March 2016 poll found that most Alaskans abhor and oppose these hunting practices, and support putting a stop to these methods on federal lands. Alaska’s predator control practices also do not make any economic sense. Wildlife watching in Alaska contributes far more to local economies than trophy hunting. Like Alaskans, most Americans value wildlife and relish the unique opportunity to see bears, wolves, river otters, wolverines and lynx in Alaska’s national parks and preserves. Wildlife watchers who visit Alaska’s national parks and preserves, such as Denali, contribute more than $2 billion each year toward these activities, with wolves and grizzly bears among the biggest lures for tourists. Wildlife watching contributes five times more than the amount generated in Alaska from all hunting activity (and these extreme methods account for only a tiny fraction of total hunting in the state).